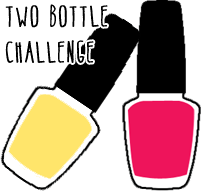 Just under two hours left to enter the two-bottle nail art challenge! Hurry hurry! Submission link and contest rules HERE.